It has taken us over 10 years of hard work and persistent efforts to reach where we have. Today, we are the most preferred commercial garage door service company in Paterson, NJ, trusted by hundreds of clients for their diverse garage door needs. We have expert knowledge of garage doors and their complex components and know how to deliver cost-effective solutions to our clientele. Whether you need to install tough and sturdy steel garage doors or replace a malfunctioning spring, call Eagle Garage Door Service experts and we will provide quality service at affordable prices. We lay emphasis on installing customized garage doors that are best suited for the commercial needs of our clients. We also provide routine maintenance and repairs and upgrade old and rusty garage doors and opener mechanisms with modern replacements. We have experienced many instances where a broken spring or a snapped chain drive caused the entire garage door to shut itself; therefore, our technicians are quick to arrive on location and offer expert solutions while ensuring minimal interruption and zero productivity loss. All our materials are top-grade and personally selected by our experts, which is why Eagle Garage Door Service has earned the tag of Paterson’s no.1 service provider. 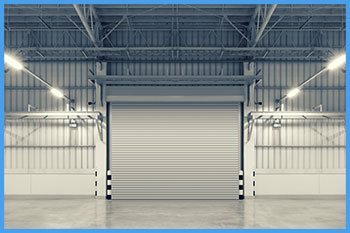 It is important to take the necessary steps to ensure that your commercial garage doors can withstand excess use by employees or any act of unexpected vandalism. 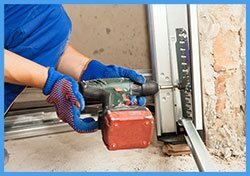 We install quality and sturdy garage door systems at your premises so that it can withstand any kind of safety threats with ease and continue to operate without any glitches. Our doors and accessories are industry-recommended only and we always offer the best price to our clients while retaining the trademark superior quality of Eagle Garage Door Service.